Obsolescence is the state of being which an object, service or practice is no longer wanted, even though it may still be in good working order.. (bar say one 'irreparable' defect.. exampled in this case, of the planned variety. Obsolescence is the state of being which an object, service or practice is no longer wanted, even though it may still be in good working order.. (bar say one ‘irreparable’ defect.. exampled in this case, of the planned variety. 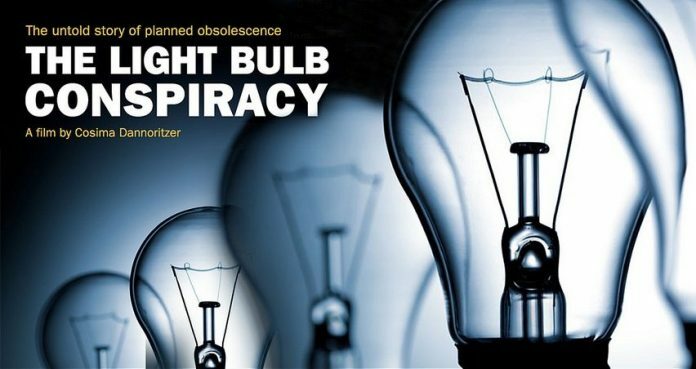 Thanks to these international, inter-company agreements (well illustrated here in the case of the light bulb’s life-reduction over the last century) we really Do have an identifiable template under which large companies Are going to operate.. to maintain consistent profits. These agreements also foster alliances and understandings between the largest companies, solidifying the groups’ monopoly/ duopoly/ oligopoly etc. over their particular market areas. If there is a display of competition and output styles between the different companies, there Will at least be Some agreements in place to preserve both a steady income and mutually beneficial consolidation for the established players involved. Negating any veritable competition. These collectivist tactics have been going on too long.. resulting in disastrous consequences globally, in ever-decreasing/expanding circles (how ever you see it) of self-interest. The illusion of competition is diligently maintained. It’s part of everyday business now. Maintained by those in the know (the heads of companies, executives, lobbyists etc.) for the ‘benefit’ of the consciences of those further down the chain of influence and for those who’d actually care to watch what’s going on. These sorts of corporate activities serve big money interests alone. NOTE: Over time, production processes are becoming less and less dependent on man power and this is not as good a thing as the Zeitgeist movement would like to promote. (Be careful who your thought-givers are, and what social-engineering intentions for that movement may be). Just do be aware, all otherwise well-meaning movements and institutions Are coopted by the big-boys sooner or later.. and these days Sooner is more likely to be the case. Today’s corporatism is a form of fascism.. less obvious than Nazism ever was. and is far more detrimental to the planet’s survival. It just a little obvious in this day and age what’s going on here.. what’s been transpiring on our planet since at least the second world war and more likely, to differing degrees, a long time before then. You can put it down to human nature, or down the activities of a particular Type of human being — ‘enterprising’ people who wish to promote their own survival to the detriment of everything else.. the end justifies the means and all that sort of thinking). This documentary illustrates quite well (to those who’d scoff at such ‘beliefs’ as) people planning together for their own benefit to the detriment of others in our world. Conspiracy Factualising (put under the heading of ‘Theorising’) is a lot more common than many would think.